My path to diagnosis with Hashimoto’s thyroiditis was a long and frustrating one. 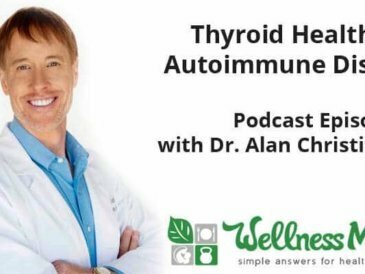 I get questions daily related to what I do for my thyroid, how I got diagnosed, and how to find answers. I’ve written this post in collaboration with Dr. Izabella Wentz to help give you resources to find your own answers. Are Weight and Fatigue Keeping You Sick? There are symptoms that a lot of us might chalk up as “just part of life,” but things like fatigue, acid reflux, achy joints, inability to lose weight, hair falling out in clumps, and depression are anything but normal. In fact, these symptoms are usually telling us that there is something going on inside our bodies that we need to address. When I decided to be a proactive Wellness Mama, I wanted to help other moms (as well as dads and really, everybody!) find solutions for their health needs in a proactive way. And the more I discover about the body, the more I realize that when something flares up, there’s usually a deeper issue going on. So when we’re experiencing nutrient deficiencies, anemia, leaky gut, food allergies, and adrenal dysfunction, we want to know … what is really happening, and is there a way to get better? You’ve probably heard of Hashimoto’s thyroiditis, as I’ve written about it in the past. 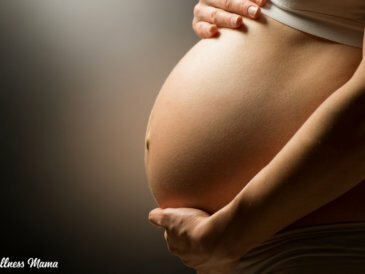 While the name sounds a lot like a Japanese Samurai, it’s actually the leading cause of hypothyroidism (a form of thyroid disease) in the U.S., and it is silently destroying lives. This might sound like a bold statement, but when you’re so exhausted it literally hurts to get out of bed, or you’re so anxious you think you’re going crazy, or your hair literally won’t stay on your head—you can see how this disease puts life on hold while you struggle to get through each day. Conservative estimates say that 1 in every 5 women will suffer from Hashimoto’s or another type of thyroid disease at some point during their life. I’m going to share why this usually happens more often to us women (although men are definitely at risk too!) in the next section, but this condition can dramatically affect moods, weight loss, and even fertility. How Do You Get Hashimoto’s? 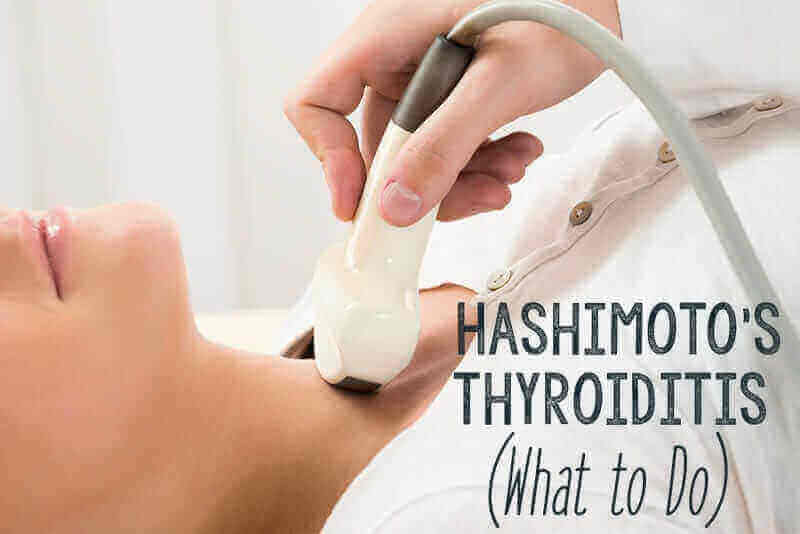 Hashimoto’s is an autoimmune condition that triggers hypothyroidism. Dr. Alessio Fasano, a world-renowned gastroenterologist, discovered that there are three factors that cause an autoimmune disease to manifest. Hashimoto’s occurs when your genes are predisposed to an autoimmune condition; when there’s a trigger (like a toxin or chemical exposure, nutrient deficiency, a sensitivity to gluten, dairy, or soy, infections, etc. ); and when you have a leaky gut (intestinal permeability). When these factors arise, the stage is set, and autoimmunity is born. We can’t do a whole lot about our genes, but we can proactively work to address the triggers and intestinal permeability. Addressing the triggers and healing your gut is essential to reversing the condition and feeling a whole lot better. Get the correct diagnosis — This might surprise you, but so many people get a misdiagnosis that keeps them in a cycle of sickness for years. Get on the right medication — Thyroid medications are very sensitive. Too much is harmful and too little is not effective. It’s important to work with your doctor to determine the proper dosing amount. Food — Diet is everything. Find a lifestyle diet that works for you and work towards implementing it in your life. A lot of experts recommend the Paleo or Autoimmune Paleo diets. Balancing adrenals — Adrenal health is huge because these little glands control our ability to handle stress and the inability to properly handle stress is a key contributing factor to autoimmune disease. Healing the gut — Bone broth is excellent for gut health, and is delicious and easy to make. 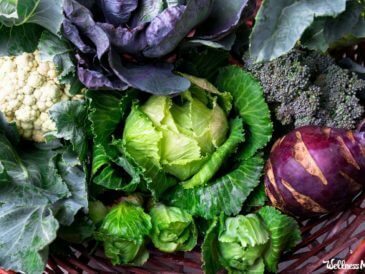 Removing toxins — Whether this is clearing pathways by eating a diet that supports your intestines or literally removing toxins from your personal care regimen, you’ll be pleasantly surprised by the increase in energy and overall wellness you experience by taking those chemicals out of your life. Many experts recommend beginning with nutrition, and I certainly agree that this is an important first step! Start by removing gluten, dairy, and soy from your diet. You may find that Paleo or Autoimmune Paleo options are the best diets to use while you’re trying to get your health back. You guys know how I feel about gluten, dairy, and soy, so when I found out these are the recommended steps to be proactive about preventing thyroid disease, it was a no-brainer! You may find my Wellness Mama Cookbook helpful because it’s full of great recipes to support your gut and fill you and your family with delicious nutrients. Consider doing a little bit of early bird spring cleaning of your personal care products. Personal care products tend to make women more susceptible to thyroid-related conditions than men. Women use an estimate of 12 personal care products with 168 ingredients on a daily basis. Compare this to a man using 6 products with 85 ingredients. (source) Both numbers are high, but 168 is nearly double! When we slather our lotions and creams all over our faces, necks, and bodies, it seeps into our bloodstreams and deposits right into our other organs, especially the thyroid. The thyroid is like a hoarder, and instead of releasing the toxins, it just holds onto them. Over time, this builds up a toxic environment, and if they’re not released properly, they can cause a build-up and wreck havoc on your thyroid gland which then produces the autoimmune response. Infections can also play a huge role in healing the gut. Discovering whether or not a parasite or some other gut infection is present can actually help you leap over a healing wall. I wrote about SIBO and how it impacts the gut, and it’s something that can affect Hashimoto’s as well. In fact, my friend, Dr. Izabella Wentz was recovering her health from Hashimoto’s, and once she addressed all four of her infections, she saw vast improvement and went on to fully reverse all of her symptoms! I’ve shared a lot of the symptoms related to Hashimoto’s, and you may be wondering if you might have it. My (Katie’s) recommendation? Work with a doctor (this service can pair you with a doctor who specifically understands the thyroid) and get tested. Being proactive with your health is how you prevent sickness and can discover the best ways to treat the problem if something comes up. There are a variety of ways to test for Hashimoto’s, and I’ll share my top four. Most of these can be ordered by your doctor, though you may want to get a copy of your lab results to make sure the tests are read correctly. 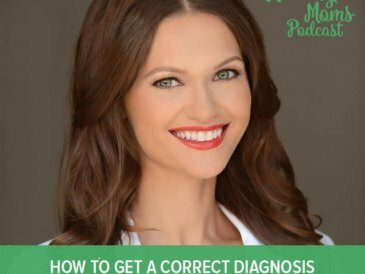 There are often discrepancies in test readings where people are misdiagnosed and are told they aren’t sick when in reality they actually have thyroid disease. It all goes back to the 1950s when the reference scale was developed. Instead of testing people who had normal thyroid function, scientists pulled blood from young people, old people, and even folks with hypothyroidism. This skewed the results, and for a long time, people suffered from misdiagnosis. Today, there is a new reference range that is accurate, but not all conventional doctors are aware of it. Thyroid Stimulating Hormone Test — This is a pituitary hormone that measures how much thyroid hormone is in your blood. Antibody Tests like Thyroid Peroxidase Antibodies/Thyroglobulin Antibodies (TPO Antibodies/TG Antibodies) Tests — This test is great for catching Hashimoto’s early on. Sometimes you can see the antibodies years, even decades before you see a rise in TSH. Thyroid Ultrasound — This is particularly helpful if lab tests are inconclusive. 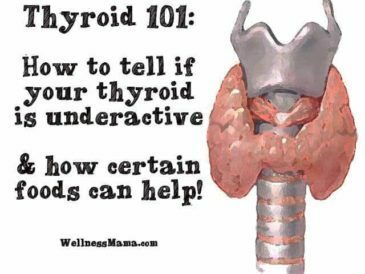 It’ll reveal any abnormalities and is recommended at least once a year, especially if you already know you have thyroid disease or Hashimoto’s. Free T3/Free T4 — This test measures the level of active hormones in your blood. You can definitely go the traditional route and get on medication, have your thyroid removed, and other rough treatments. But, like I shared earlier, Dr. Izabella Wentz discovered there is another way to get better. It includes a functional approach and complementary therapies to help you get your life back. Izabella is a world leading thyroid expert and Hashimoto’s overcomer. She’s a trained pharmacist who heard what conventional medicine had to say about her condition, and she didn’t like it one bit. 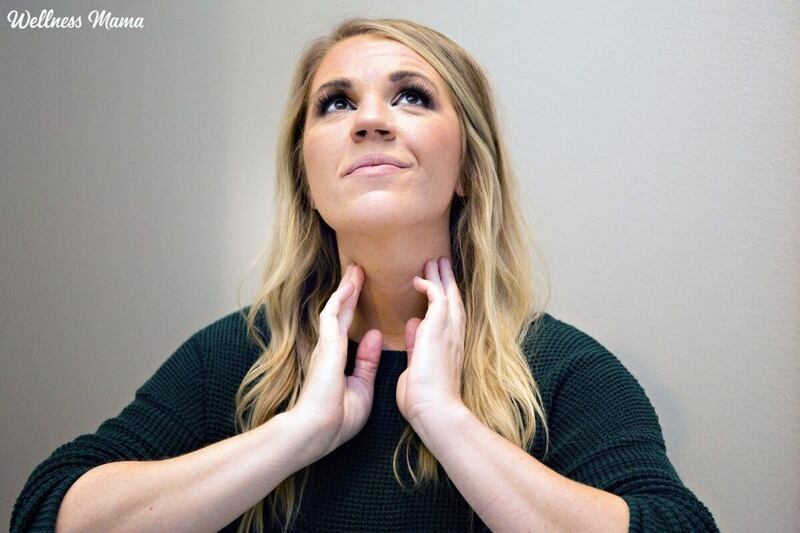 Instead of waiting for her thyroid to burn out and be on medication the rest of her life, she decided to take her health back through becoming her own human guinea pig! She discovered a functional way to recover her health and reversed her Hashimoto’s and has led thousands of others to do the same. I love her work and think you may find it fascinating as well. 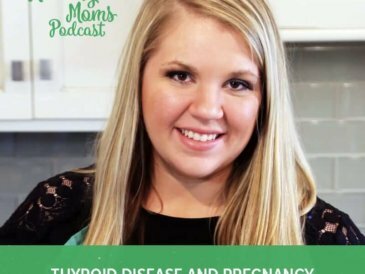 She has recently created a documentary series that reveals the truth about thyroid disease. It’s called The Thyroid Secret, and she’s invited our entire community to join her for an exclusive viewing. You can reserve your free spot here. This post was written in collaboration with Wellness Mama and Dr. Izabella Wentz. What are your thoughts about Hashimoto’s? Do you or someone you know suffer from some form of thyroid disease? I’d love to hear your thoughts in the comments!